Yesterday I attended the funeral of my Buddhist teacher Urgyen Sangharakshita along with over 1200 other Buddhists. It was a beautiful, poignant, moving ceremony. I have never experienced anything as immense in my lifetime. Despite the heavy downpour of rain, the birds still sang, and the wind played in the autumn trees. By the time the procession to the burial ground took place, the sun came out and lifted the heavy skies. 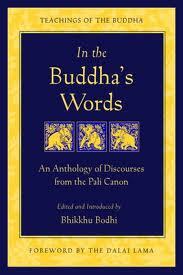 I cannot adequately put into words my gratitude to Bhante. I met him twice, once at a shared meal at the Sheffield Buddhist Centre, and later in Birmingham (2011). He guided and inspired my Buddhist practice, and encouraged me to take my writing seriously. Without his guidance and teachings I doubt I would be where I am today. How do I say thank you, and how do I say goodbye? I started to write this poem on the way down to the funeral and finished it on the way back. This poem relates to the loss of significant people in my life – Safe Home Bhante Urgyen Sangharaksita, go well. How do I say goodbye? on this lives long path. of which I don’t need. and the wind in my hair!